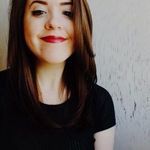 5 Tips for Choosing Your Engagement Photo Outfits | Wedding Ideas ARE YOU A VENDOR? 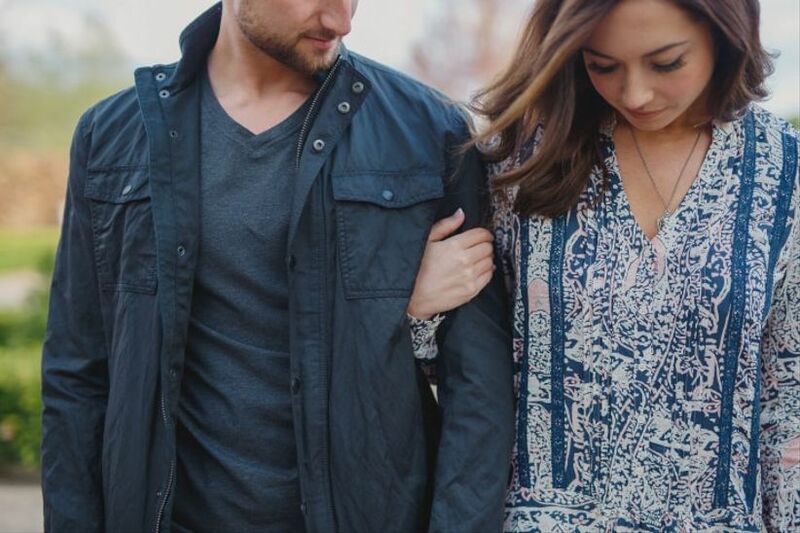 You’ll want to dress to impress for your engagement photo session. Here is how to plan your engagement photo outfits. 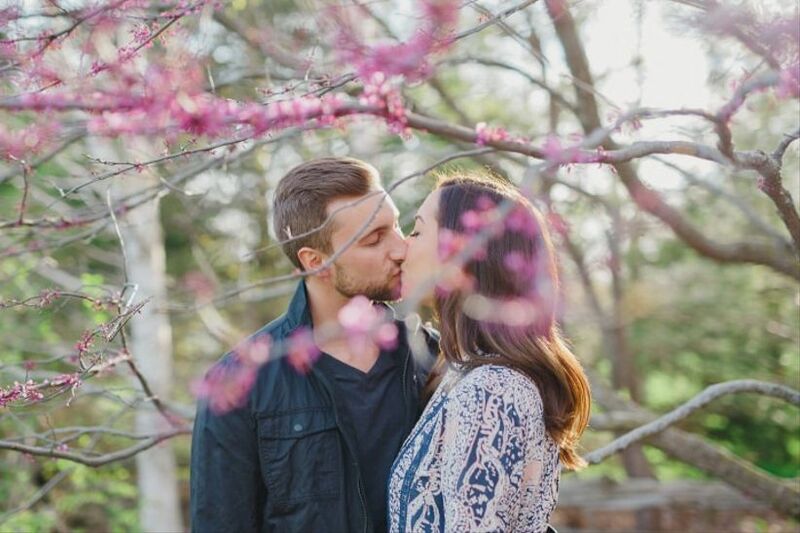 Your engagement photo shoot will be your first foray into the wonderful world of wedding photos. 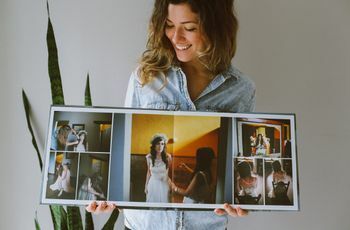 Not only will it leave you with some stunning snapshots that you’ll cherish for a lifetime, but it may even help you pin down a photographer for your big day. So, what engagement photo outfits should you wear for this monumental shoot? We’re here to give you the lowdown on selecting fashion so that your pictures turn out amazing. 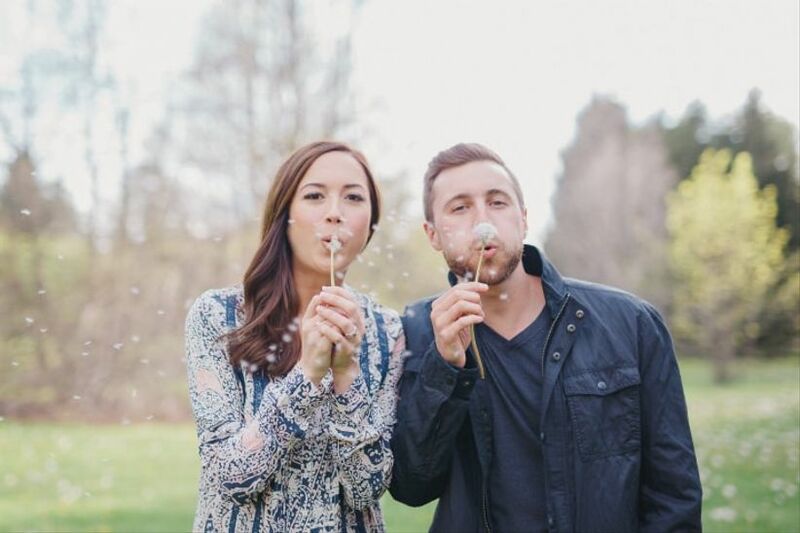 Here are a few tips for choosing your engagement photo outfits. Time to head back to elementary school art class! Give yourself a refresher on complementary colours to make sure the outfits you and your fiancé(e) want to wear don’t clash. 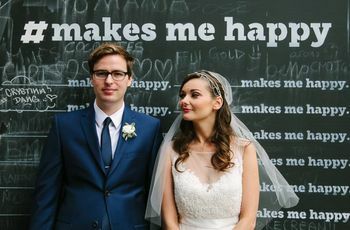 We suggest choosing a statement colour and building both your engagement photo outfits around that. It’s adorable when babies wear matching outfits, not when couples do it. Avoid this cringey pitfall by saying no to identical ensembles and mixing things up. Sure, you can have one or two matching pieces - like, say, jerseys or sneakers - but avoid dressing in all the same pieces. You want to look like an adorable pair of soon-to-be spouses, not twins. 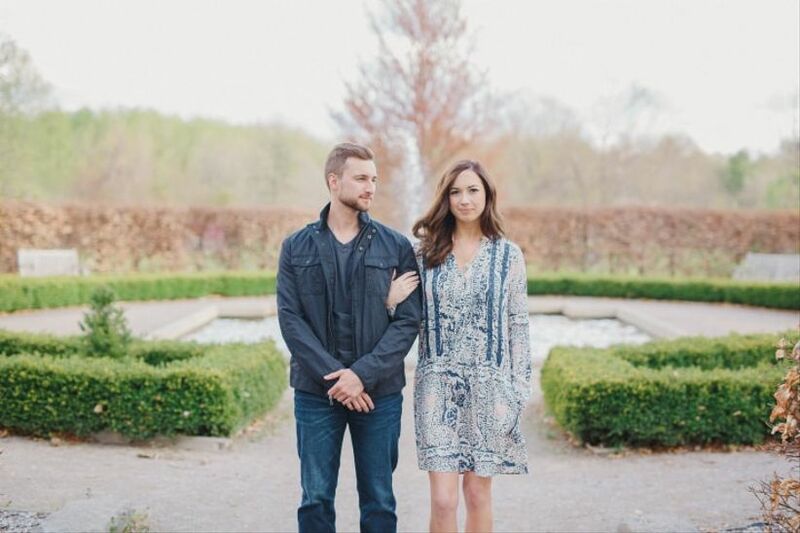 You want to feel comfortable and confident while hamming it up for your photographer, so make sure your engagement photo outfit makes you feel like a million bucks. If you feel your best in jeans and a t-shirt, there’s no need to throw on a sequined ballgown for your photos. Finding a look that works for you is key, so don’t feel pressured to stick to any status quo. Don’t want to wear just any old outfits for your engagement shoot? Use your interests or hobbies to inspire your ensembles. If you both love the Toronto Blue Jays, why not sport their trademark blue ball caps? Or, if the two of you are super into cosplay, embrace your nerdiness and dress as your favourite fictional duo. There are more subtle ways of doing this, as well, if you don’t want to go the whole nine yards. It’s a good idea to do a trial shoot at home so that you have an idea of how your engagement photo outfits will look on film. Once you’ve found a few options, set up your camera in natural light and pose it out with your partner. If you see any flaws in your chosen looks, just switch ‘em up, or add or subtract a few pieces. It’s better to fix them now than to be disappointed when you get your photos back from your photographer.